(Bass Instruction). A walking bass line is the most common approach to jazz bass playing, but it is also used in rock music, blues, rockabilly, R&B, gospel, Latin, country and many other types of music. The term 'walking' is used to describe the moving feeling that quarter notes create in the bass part. 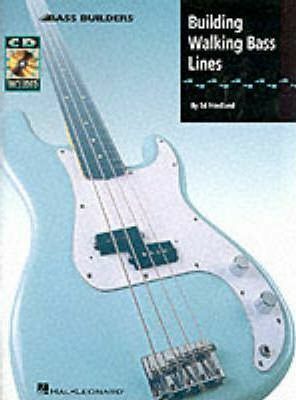 The specific goal of this book is to familiarize players with the techniques used to build walking bass lines and to make them aware of how the process works. Through the use of 90-minutes' worth of recorded rhythm tracks available online using the unique code in the book, players will have the opportunity to put the new learning directly into action. This book literally gives bassists the tools they need to build their own walking bass lines.